The idea that metallics are tacky or strictly for evening and New Years parties is nothing more than a fashion myth, much like “No white after Labor Day”. Metallics are playfully being incorporated with floral patterns and candy wrapper like aesthetics, yet can be sophisticated on Burberry frocks and Altuzarra evening gowns. 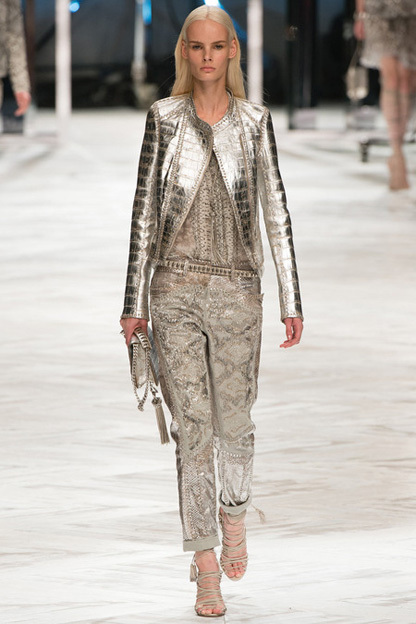 Metallics have taken on a serious upgrade, including fabrics, finishes, and even color. It’s here to stay for a long time, so shine on baby.